My daughters are 8 and 12, and we are in a season of running around like crazy…to sporting events, school activities and more. We run through Kroger on a regular basis to pick up a gallon of milk, last minute birthday gift, or snacks for class parties or soccer. 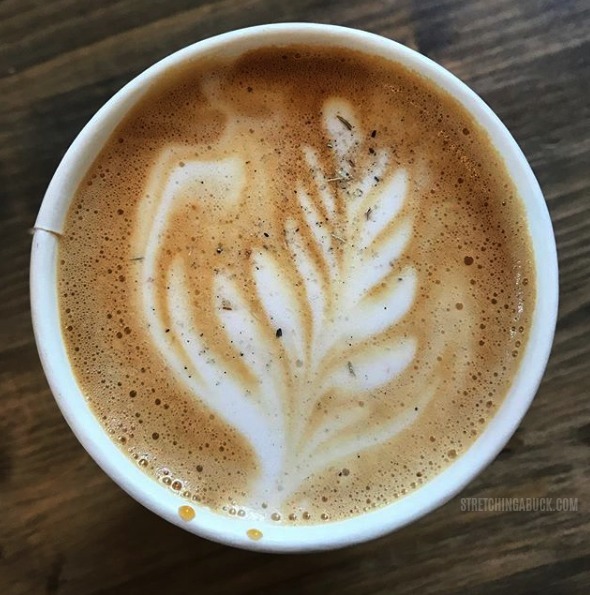 I would say that in addition to my two kids trailing behind me, I am usually armed with a strong cup of coffee! 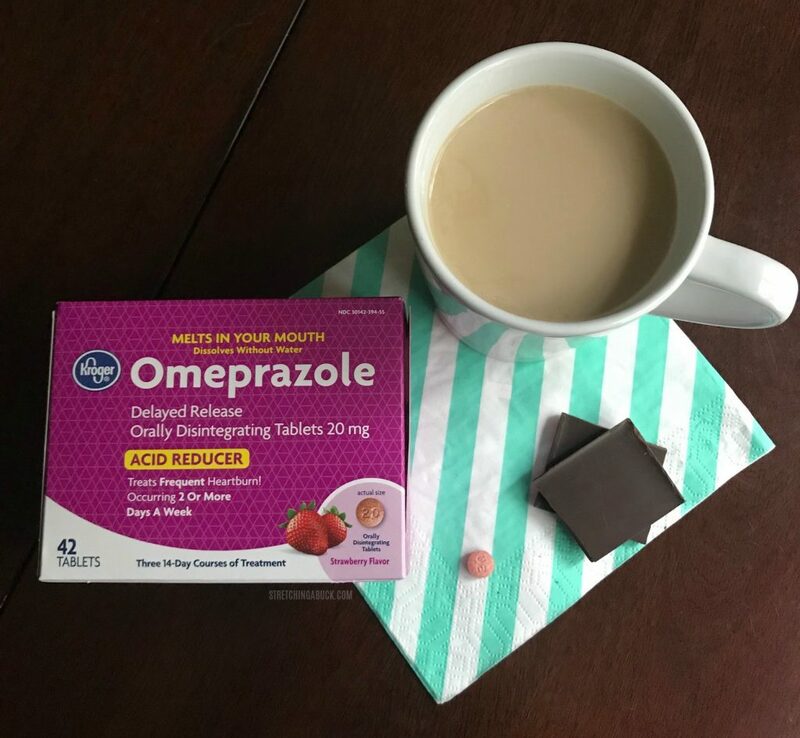 With coffee, comes heartburn, so I was excited to see that Kroger is now offering Omeprazole Orally Disintegrating Tablet (also referred to as ODT), because I can easily take these tablets on the run – with or without a drink handy! In addition to dissolving quickly, these tablets are strawberry flavored. Never again will I sit out on a hike at our local park, or a swim at the pool because of my awful heartburn. 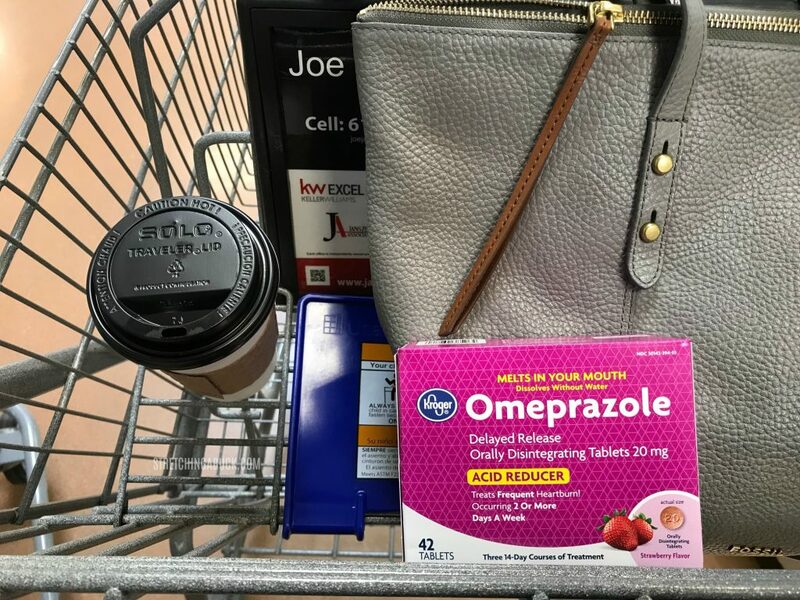 I have a small stash of over the counter (OTC) drugs in the First Aid Kit in my SUV, and Kroger Omeprazole ODT is a welcome addition! 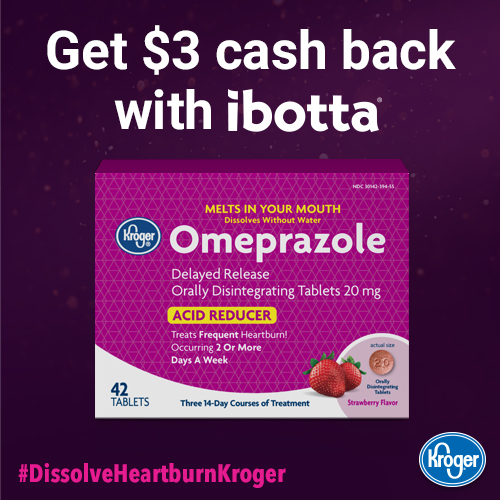 If you are a frequent heartburn sufferer, be sure to check out Kroger Omeprazole ODT for long-lasting protection against heartburn! Disclaimer: Use as directed for 14 days to treat frequent heartburn (occurring 2 or more days a week). May take 1-4 days for full effect. Not intended for immediate relief. You should not take Omeprazole Orally Disintegrating Tablet for more than 14 days or more frequently than every four months unless directed by your doctor.